Right Window Gallery will host the first West Coast exhibit of Alan W. Bernheimer's Reflectographs, rare and unique photographic images created without a camera. 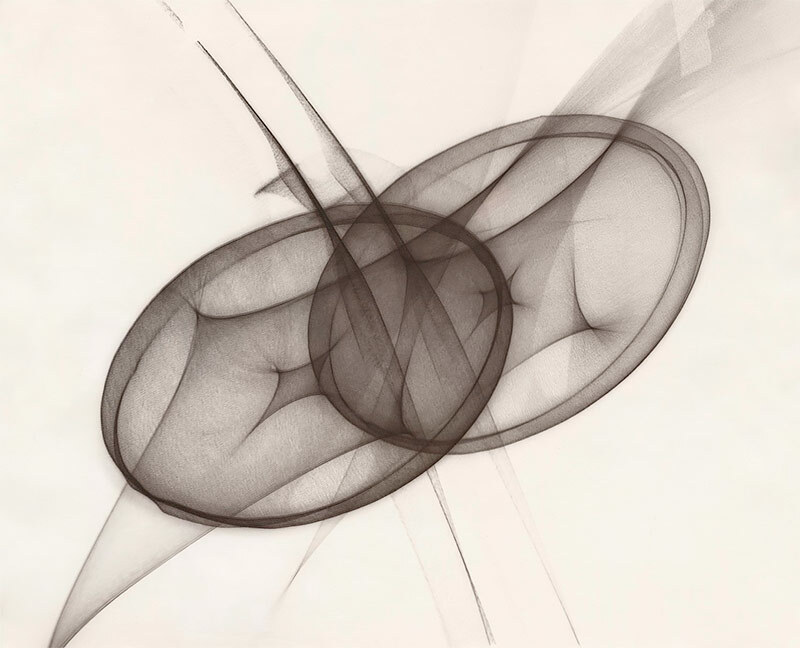 Starting in the 1960s, Bernheimer (1913-2006) produced an innovative body of photographic work that he called Reflectographs, made by reflecting light directly onto photosensitive paper, with the polished reflector acting as an imperfect lens, focusing and distorting the light to produce intricately textured shapes and patterns ranging from abstract to suggestive. Bernheimer was professor of microbiology at the NYU School of Medicine, where his research focused on the structure and mechanisms of bacterial toxins. During the Second World War he developed a vaccine against gas gangrene. His Reflectographs were exhibited in galleries in New York, Pennsylvania, Maryland, and Massachusetts, and featured in Leonardo, 35mm Photography, and the Encyclopedia of Photography.